We invited our good friends Michael and Luis for dinner shortly before Easter. When Luis offered to come a little early and help me prepare, I agreed whole-heartedly. 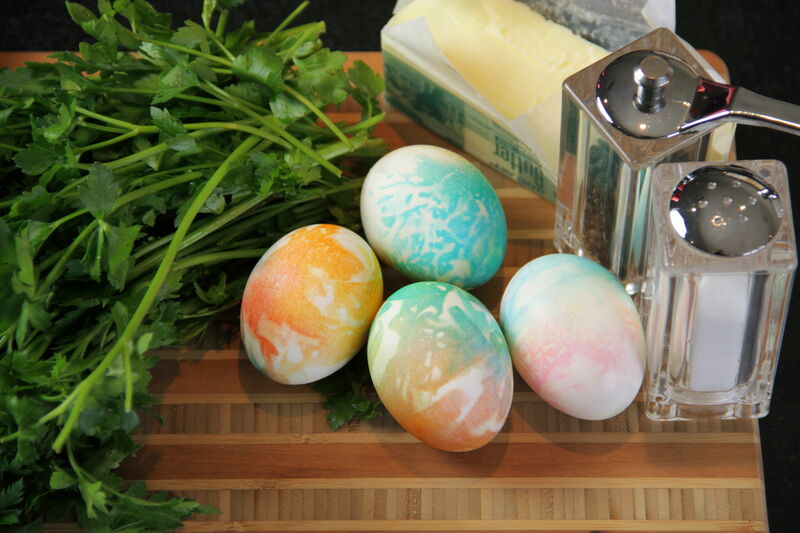 Little did he know I intended to trick him into making tie-dyed Easter eggs! (You can now buy these kits in your local grocery store.) Anyway, they turned out beautifully. Luis’ artistry made for an impressive display, and I even let him take a couple home. 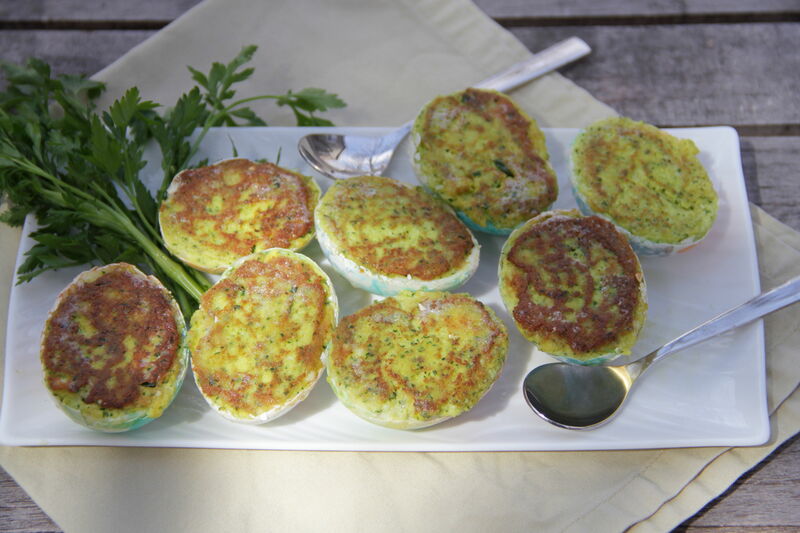 Slicing through the shells and removing the cooked egg is difficult work, so take your time. Don’t worry if the first couple don’t work out so well – you’ll soon get the hang of it. 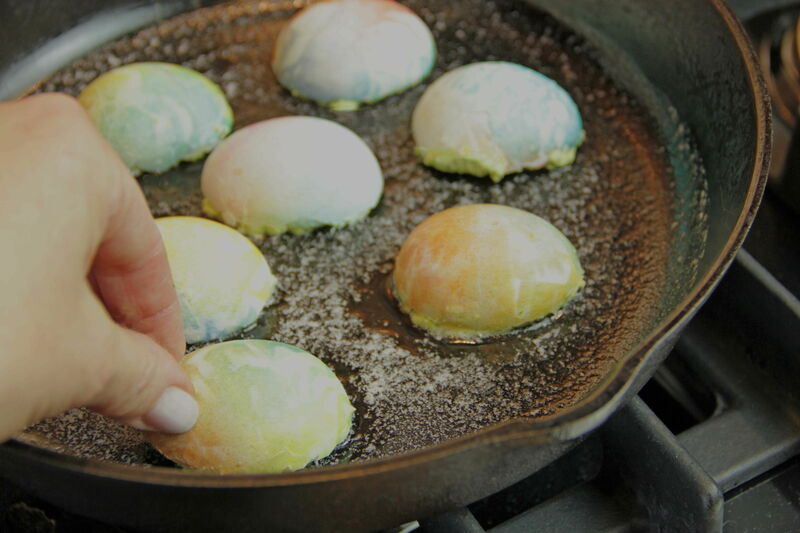 And, even if you don’t feel like tie-dying your parsleyed eggs, I’m sure you will still enjoy the artistry of Anna’s recipe, and a beautiful vegetarian, epicurean breakfast in bed. Place eggs in a small heavy saucepan and cover with water. Bring to a boil on high heat and continue to cook eggs for 10 minutes, until hard-boiled. Cool. Using a sharp, serrated knife, carefully tap and score the eggshell in half lengthwise, then cut entire egg in half. Gently scoop out cooked yolks and white, retaining shell halves. Repeat with remaining eggs. 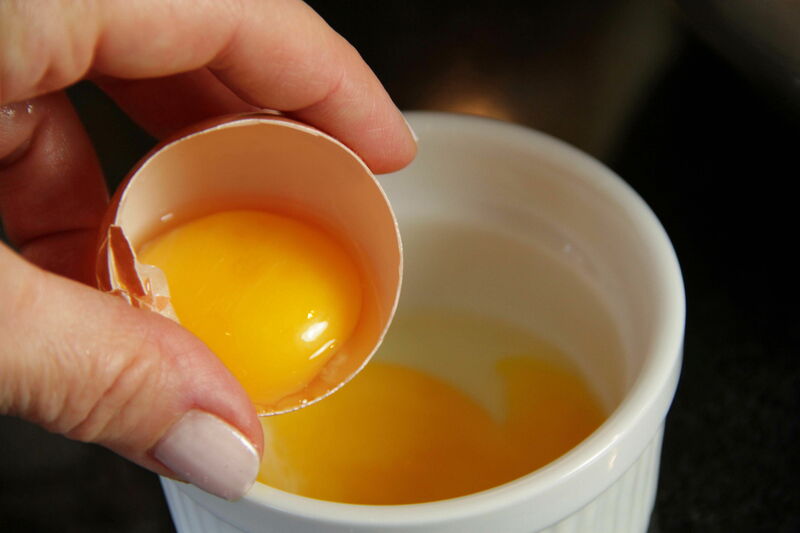 Place cooked egg whites and yolks in blender or food processor. 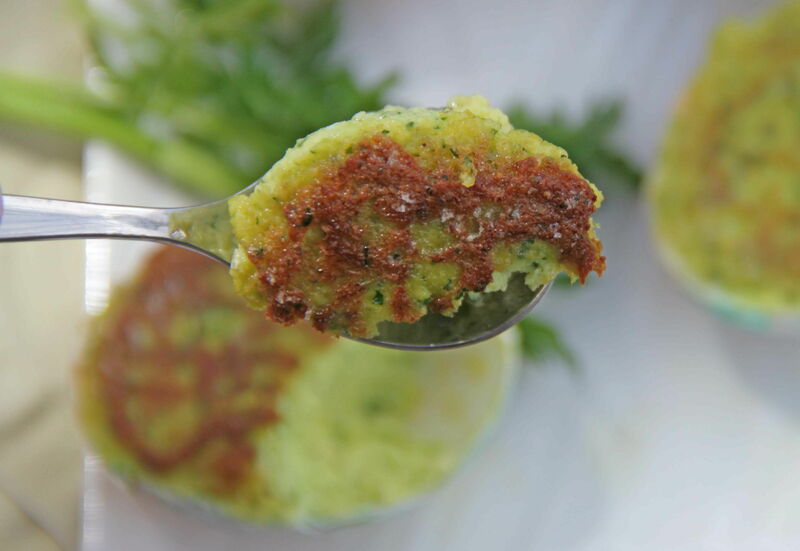 Add softened butter and parsley and blend to a smooth, thick paste. Season with salt and pepper to taste. 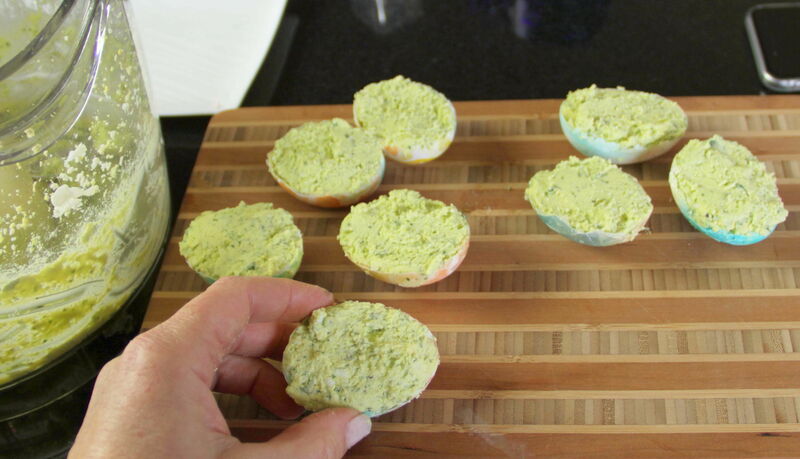 Trim off any jagged edges, and fill shells with egg mixture, smoothing to a flat top. When ready to serve, heat butter in heavy pan over medium low heat. Place egg halves in pan, stuffing side down, and cook over low heat until light brown and crisp on top and heated through, about ten minutes. Serve warm. Movies in Bed: I AM ZIM!!!!!! Invader Zim has been around for a long time. Zim-related products have overwhelmed the Hot Topic employees for years. Everyone who has watched the show knows it’s because GIR is amazing. 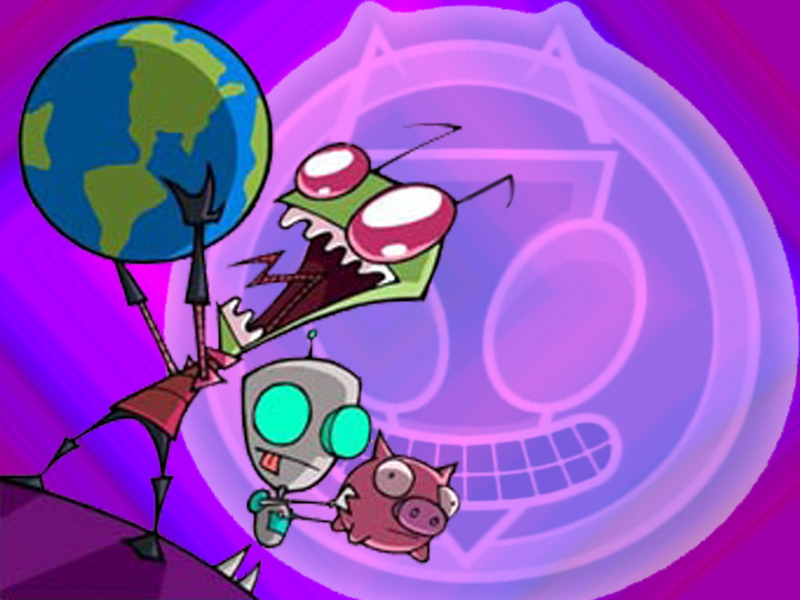 Zim is pretty great, but GIR is where it’s at. This Nickelodeon cartoon was created by Jhonen Vasquez, which seemed highly unlikely seeing as he was previously known for his very good, but very disturbing comic Johnny the Homicidal Maniac. Zim is a horse of a different feather. He is a very egotistical but highly inept alien from the planet Irk. Their purpose is to dominate other planets. Eager to get rid of Zim for good, this leaders, the Tallest, send him on a wild goose chase to the far end of the universe. Each invader is armed with a robot warrior servant but in Zim’s case they filled its head with garbage. And so is born GIR, the dopiest, funniest, cupcake-loving robot companion you ever will see. When they arrive on Earth, Zim disguises himself as a human child “I am normal! Nothing to see here! I am a normal human doing human things!” and GIR as a dog, zipper visible in the front plain as day. The only thing stopping him from taking over is Dib, the one person who sees through Zim’s disguise. This is a super fun cartoon for grown-ups and adults alike. Word of warning though: if you are squeamish, there are a few episodes with a very high “ick” factor, so beware. My son loves this show but to be honest, I was watching it years before he was born. Available streaming on Amazon and surely for sale as well. Enjoy! Mission might not be the most popular design style, but Arts and Crafts aficionados adore the vertical and horizontal straight lines, simple aesthetic, rich wood tones, and Frank Lloyd Wright influence.Furnishings are most often seen in quartersawn oak, and said to be derived from the Spanish missions in California, but there’s no formal proof of this. Stickley was an original pioneer in the movement and was highly influenced by William Morris and John Ruskin. Mission style became increasingly popular during the turn of the 20th century, and was a welcome change from its ornate Victorian predecessor. With little to no decoration on Mission pieces, many are characterized by exposed joinery, which could be stained a different color from the rest of the piece, simple yet sturdy fabrics and leathers on upholstered items, and a heavier feel than other transitional styles. Stained glass was a popular detail both in architecture and home furnishings. Take a look at these five lovely Mission-inspired bedrooms, which might encourage you to consider using Mission elements in your room. 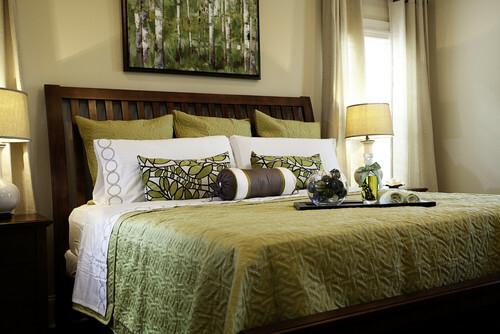 This Mission headboard is almost hidden with the chartreuse shams. This bedroom has taken on more of a feminine feel, unlike most Mission-style rooms.The patterned pillows and various textures add interest and flair to what would otherwise be a dull space. 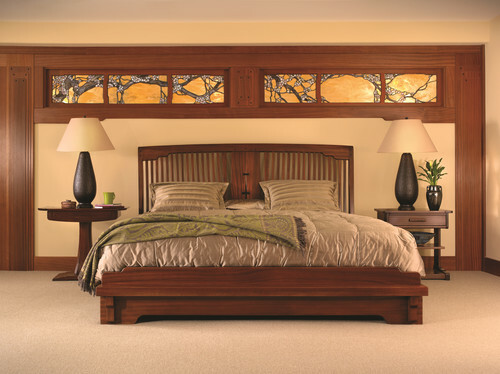 This bedroom is straightforward and the stained glass adds a touch of elegance. I’d love to see some pattern on the floor. The lamps are perfectly proportioned. The architecture of this space is undoubtedly Mission. The pair of lounge chairs is ideal for reading or sipping coffee. The fireplace warms the space, as does the large area rug. 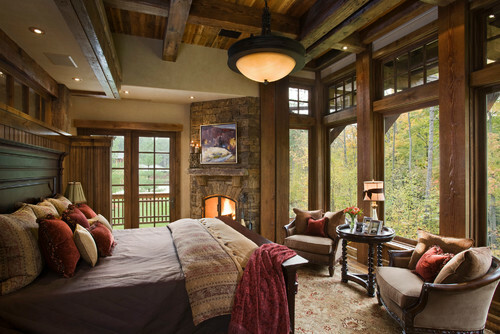 This Ontario bedroom boasts Mission-themed woodwork and a classic Arts and Crafts light fixture. 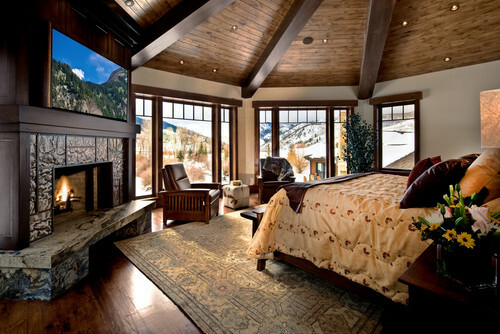 The fireplace and view can’t be beat. What a comfy space! The exposed brick completes this Mission-styled room with a chunky wooden bed and crisp white linens. Keep in mind that a large bedroom is needed to accommodate this oversized bed. Many of us cannot imagine facing the day without a tall cup of thick, strong coffee. It’s a ritual, a kick-start, and a requirement. 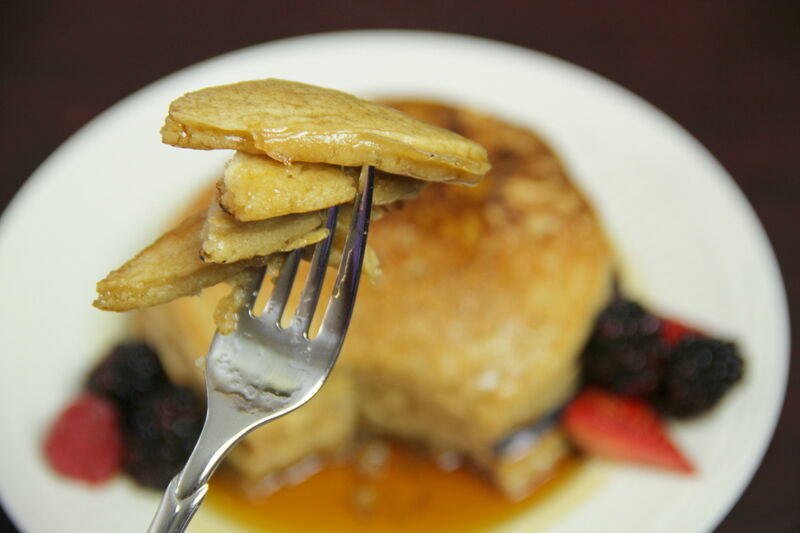 But perhaps you can imagine infusing fluffy breakfast pancakes with the same deep, dark and mysterious flavors as your favorite cup of Joe. Fiddling with this recipe is as easy as brewing up some hazelnut coffee, or vanilla, or mint… A dash of cocoa powder in the batter, or a sprinkle on top after griddling, and you’ve got café mocha. Instead of maple syrup, make a coffee-flavored simple syrup –simply swap out ½ cup of water for ½ cup of brewed coffee. 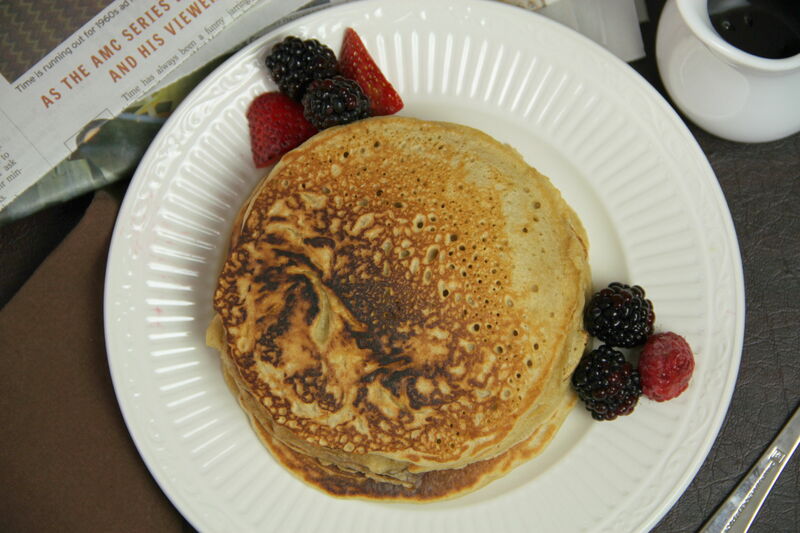 No need to beat the egg whites if you’re in a desperate hurry for your morning coffee pancakes – they will be slightly more dense but just as delicious. Don’t forget to freeze some for when you just can’t wait another minute to dive into what will soon become your favorite required ritual, a dark and mysterious breakfast in bed. Combine flour, sugar, baking powder and salt in large bowl. Gradually whisk in the cooled coffee, milk, vinegar and vanilla. 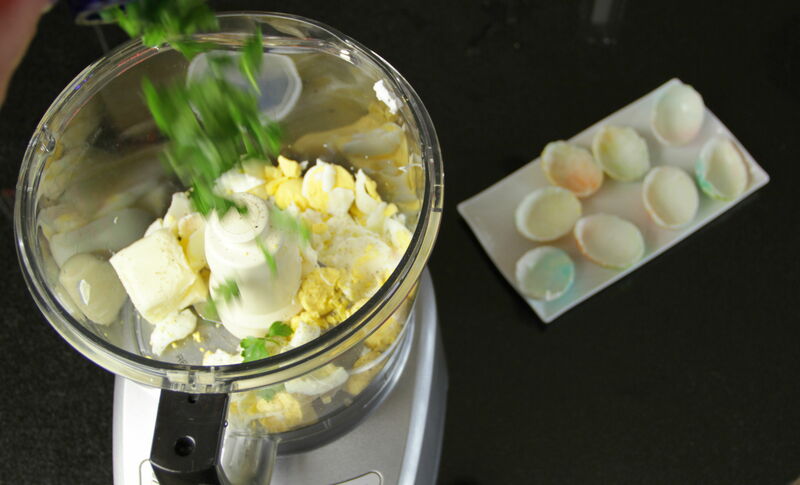 Add the egg yolks one at a time, mixing well after each addition. Slowly add melted butter to batter. 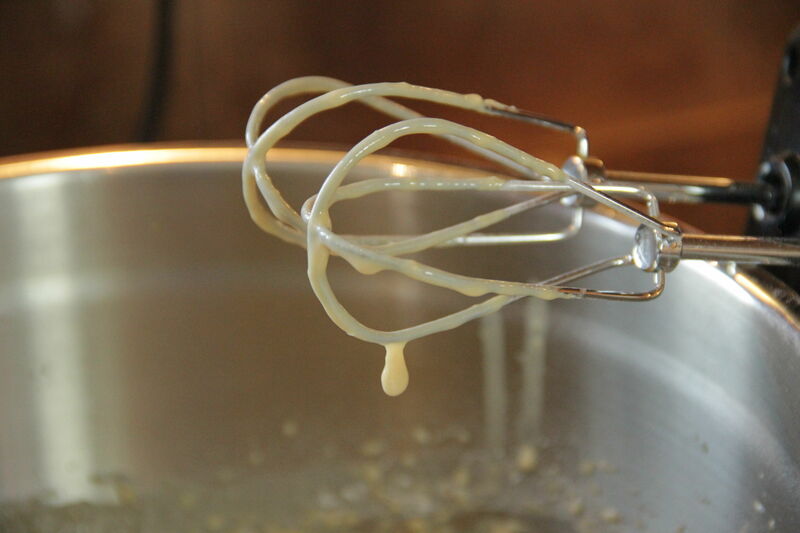 Beat the egg whites until soft peaks form and gently fold them into the batter. The batter should be thick, smooth and creamy. Place a pan or griddle on the stove over medium to medium low heat. Melt a small amount of butter in the pan for the first pancake. 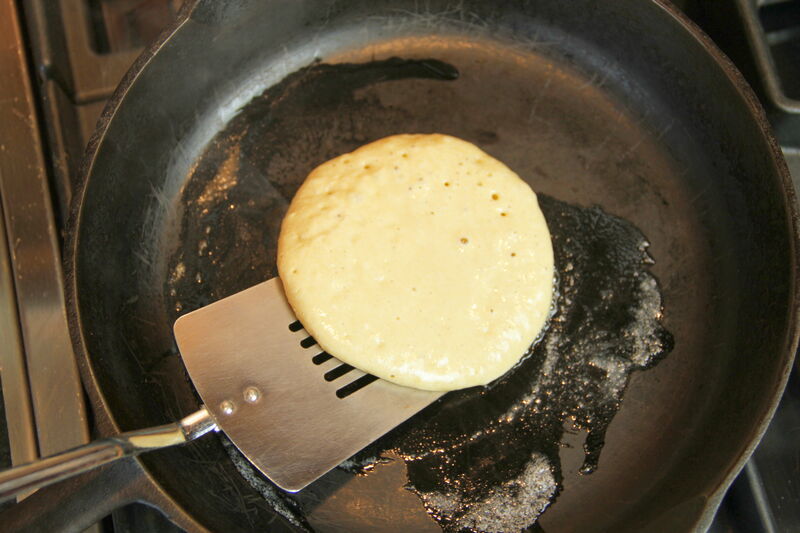 Ladle batter into pan and cook until small bubbles appear throughout pancake, about 1 minute. Flip once with spatula and continue cooking until golden brown, another minute or so. Adjust heat as necessary while cooking. Serve hot with real maple syrup. Makes 10 to 12 4-inch pancakes. April is here! 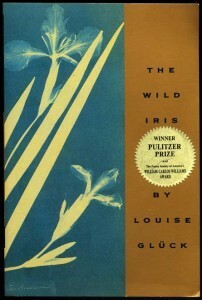 Spring is in the air and it’s time once again to celebrate National Poetry Month! 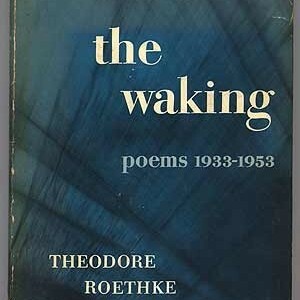 It’s the one time each year that bookstores dust off their poetry collection and put their Tennyson and Dylan Thomas books out for display. I have a love/hate relationship with poetry. Bad poetry, in my opinion, is the most painful thing to read. But good poetry! O! Tis the sweetest nectar ever drunk! 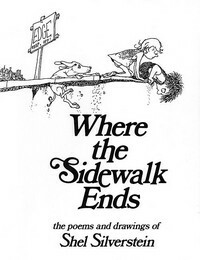 I read a lot of poetry to my son, from Shel Silverstein to Kenn Nesbitt & Jack Prelutsky. 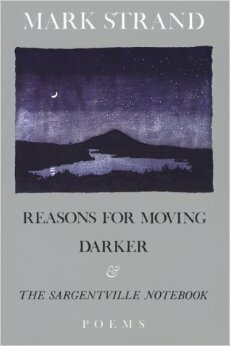 Jack Prelutsky is a bit tricky at times; he uses some pretty sophisticated language, which I think takes from my son’s appreciation of the poems. I love poetry that rhymes. 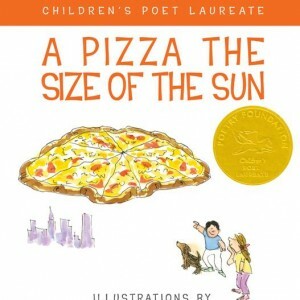 Children’s poems, grown-up poems, you name it. If it rhymes I am way more likely to enjoy it. 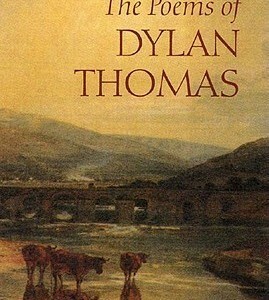 From Samuel Taylor Coleridge’s eerily weird “Rime of the Ancient Mariner” to Dylan Thomas’s beautiful “Do Not Go Gentle into That Good Night” I love the cheerful lilt of the poems, especially when juxtaposed with a solemn subject (Poe, for example). 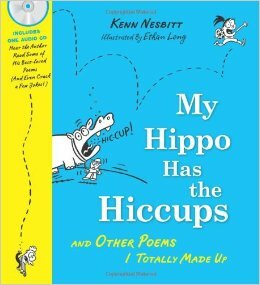 Here are a few of my favorite collections of poems, some for grown-ups, some for kids, some for everybody.